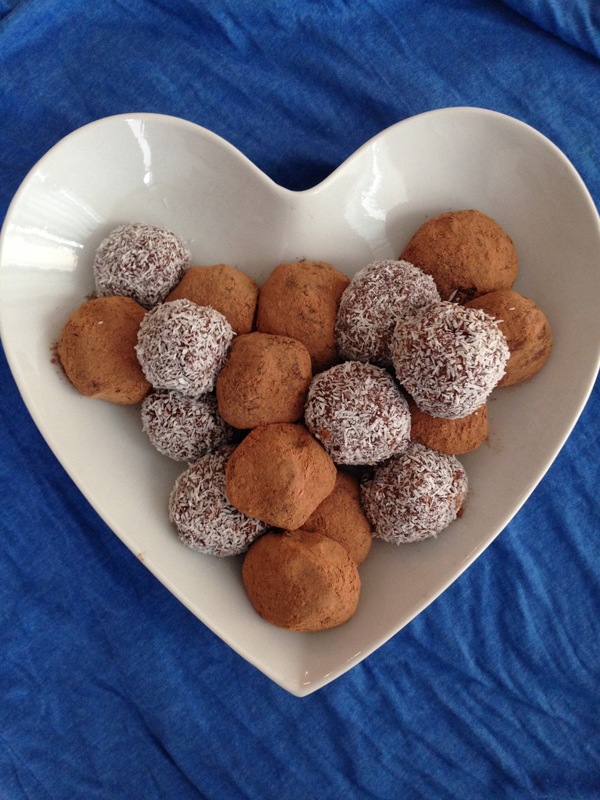 These truffles are healthier than the rest. Lentils are my homeboys and homegirls. They’re the lentil of my eye because a) they’re the easiest to digest of the legumes b) they’re high in iron and folic acid c) they’re filling d) due to their small size, their cooking time is shorter than other legumes e) they have the protein my muscles loooooove f) they taste lovely g) they contain precious antioxidants. Interestingly, human beings have been eating lentils since prehistory. Lentils were introduced in Canada in 1970. Now, Canada is the biggest exporter of lentils and the 2nd highest producer of them. Go us! 1/2 cup each of coconut and cocoa powder for coating the energy balls. In a food processor, combine all ingredients minus the 1/2 cup each of coconut and cocoa powder for coating purposes. Add mixture to freezer and let cool off for 30 minutes until mixture is firmer in texture. 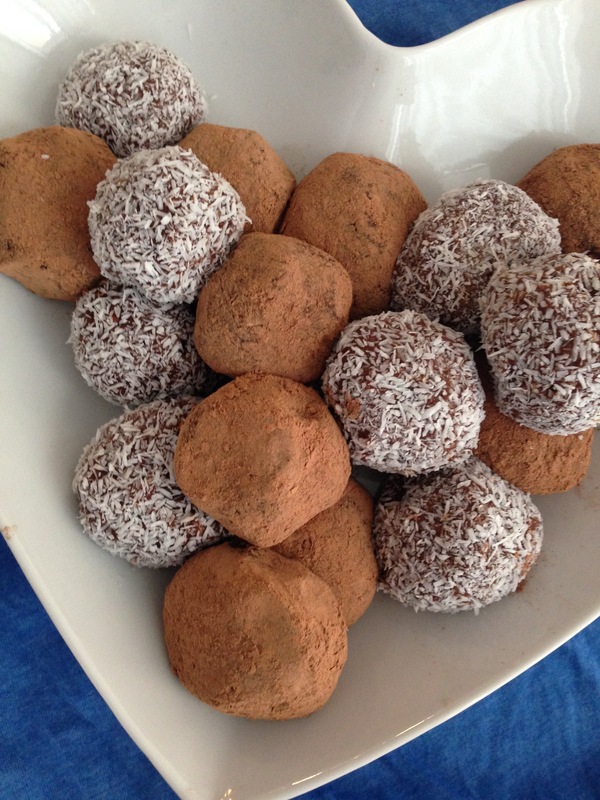 Roll into about 36 balls, 1-inch in diameter, then roll in coconut or cocoa. Share with people, and watch their surprise when they learn that there are lentils in these delicious treats.